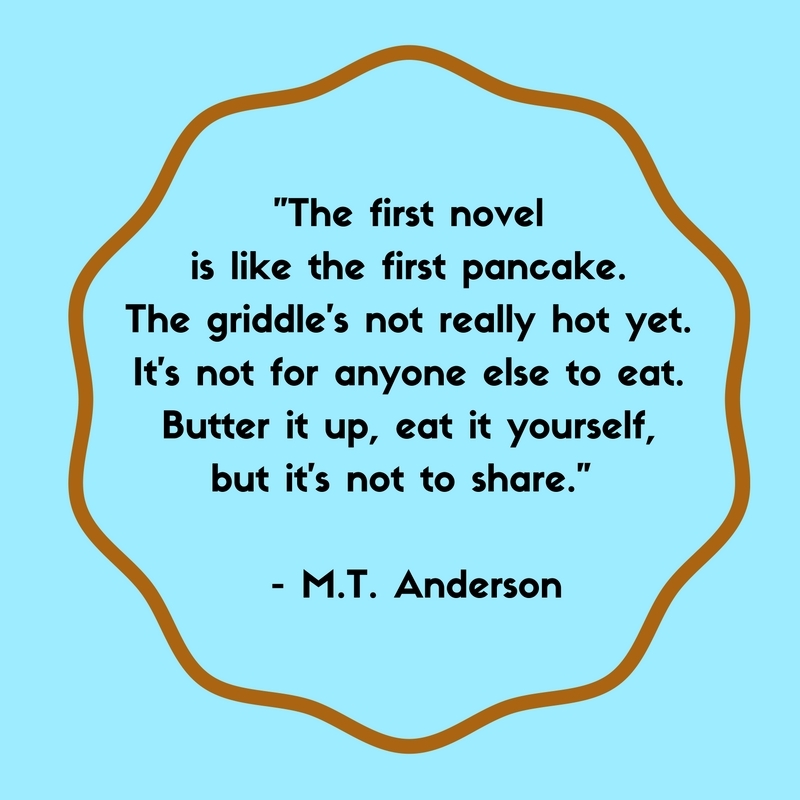 Learn more about M.T. 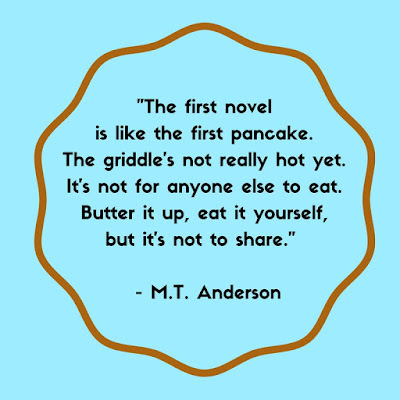 Anderson at his website here. John Parra tells us about his Golden Kite Award-Winning Illustrations for "Marvelous Cornelius: Hurricane Katrina and the Spirit of New Orleans"
Thanks, John! And cheers again on winning the Golden Kite Award for your illustrations! And congratulations also to blog reader Lois, for the great question. Lois, please email me your mailing address at leewind (at) roadrunner (dot) com and I'll send you the copy of "Marvelous Cornelius" that John signed right before recording our interview. 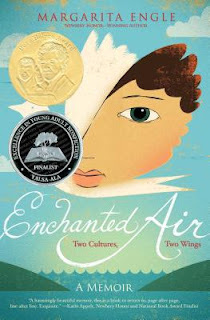 Margarita Engle tells us about her Golden Kite Award-Winning "Enchanted Air: Two Cultures, Two Wings"
Margarita Engel's memoir won the 2016 Golden Kite Award for Nonfiction. Did you find yourself self-censoring while writing this memoir to protect others' feelings? "Yes, I did censor myself while writing Enchanted Air, Two Cultures, Two Wings. I made the decision to omit anything that would embarrass or endanger a family member. I did not include certain anecdotes about my sister that I regard as her stories to tell, not mine. I did not include any stories about relatives who are still in Cuba if I felt that their activities or attitudes a long time ago might still cause problems for them. At the time when I wrote Enchanted Air, I worried about how it might be received by Miami relatives, but I did not censor my plea for peace and reconciliation. The time felt right for publicly admitting that I am against travel restrictions and the trade embargo." Thanks, Margarita, and congratulations again on your award! And cheers as well to jpetroroy for the the great question, and for winning a copy of "Enchanted Air: Two Cultures, Two Wings!" Kate Hannigan tells us about her Golden Kite Award-Winning "The Detective's Assistant"
Thanks, Kate! And cheers for winning the Golden Kite Award for fiction for your MG historical novel, "The Detective's Assistant." Congratulations also to blog reader Christina Wilsdon for the great question! Christina, please email me your mailing address at leewind (at) roadrunner (dot) com so I can mail you the copy of "The Detective's Assistant" that Kate signed right before recording our interview! Molly B. Burnham tells us about her Sid Fleischman Award-Winning "Teddy Mars: Almost a World Record Breaker"
Thanks, Molly! Cheers to your winning the coveted Sid Fleischman Humor Award! And cheers to jpetroroy for asking the winning question, and for winning the copy of "Challenger Deep" that Neal signed just before our interview. And of course, congratulations to Neal for winning the Golden Kite Award For YA Fiction! ps - jpetroroy, please email me your mailing address at: leewind (at) roadrunner (dot) com. Congratulations to Kathy, whose question was used and who has won the copy of "Boats For Papa:" that Jessixa signed! And of course, congratulations to Jessixa for winning the Golden Kite Award for Picture Book text! There are so many great tweets to check out - here are ten that resonated for me. Check out the twitter stream for so much more inspiration! 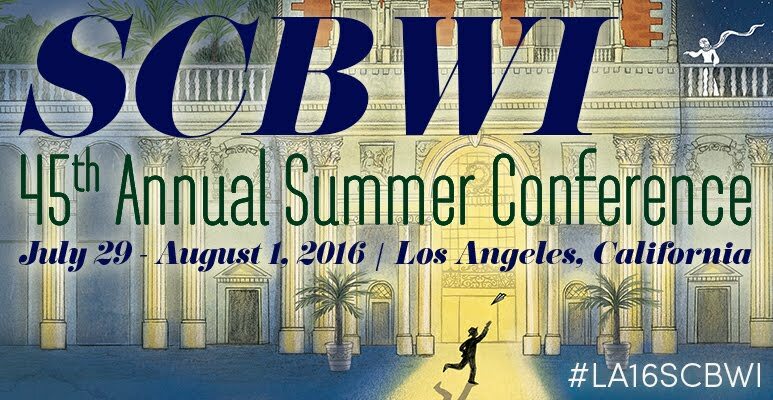 And for more detailed reporting from the conference floor, check out The Official SCBWI Conference Blog here.